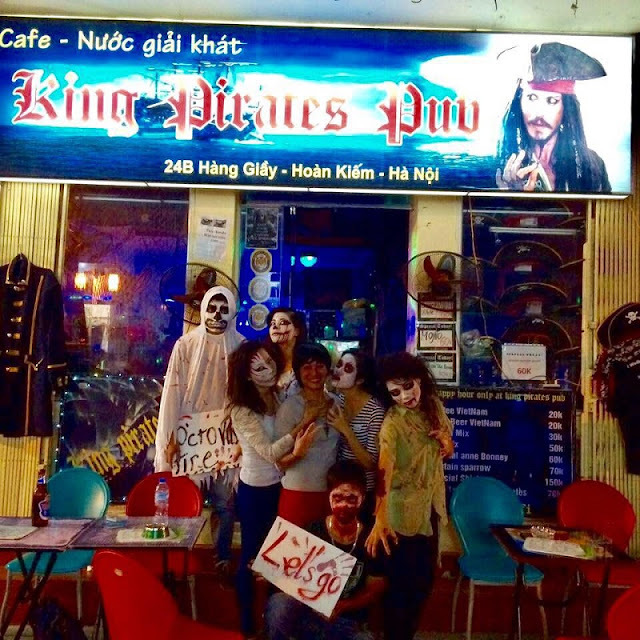 Night Bars and Clubs: For those stylish party-goers out there want to have a really fun night out in Hanoi. Let’s get started with the Street Activities first! The Walking Street: Don’t want to stay in one place? We have another option for you: Take a walk on the Walking Street. 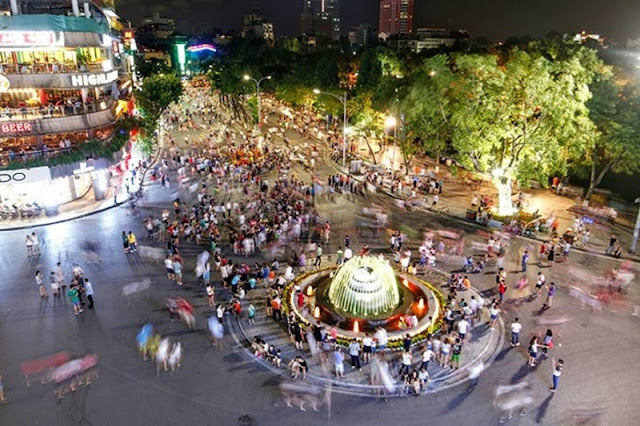 The Walking Street is actually a 7km street that combines of 26 streets located around Hoan Kiem Lake. It only opens on the weekend, from Friday nights to Sunday nights. In the Walking Street, all kinds of transportation are prohibited, you can only walk. Walking along the street will take you several hours because there are so many activities to join. You can stop by to join some Vietnamese traditional games, enjoy some street art performances or simply walk around and immerse in the atmosphere. Before going for a walk on walking street in the evening, why don’t you try some Hanoi Street Food to get energy for an exciting night? Night market: Got presents for family and friends at home? No? Then you must go to the Night Market to grab some. 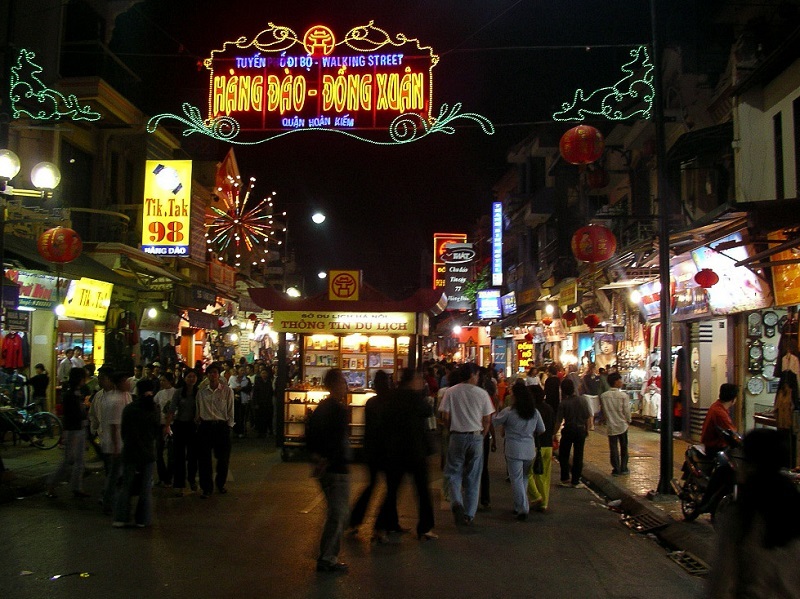 Same with the Walking Street, Hanoi night market is held from 18pm to 23pm every Friday, Saturday and Sunday nights. The open-air market runs through the Old Quarter, starting from Hang Dao Street to Dong Xuan Market. There are all kinds of products you can find here, from clothes, bags, accessories,… to household items, souvenirs, home decoration. Address: Hang Dao, Hang Ngang, Hang Duong Street. Ta Hien – Beer Street: You definitely cannot miss traditional Hanoi beers, it’s one of the best. Want to grab some? Go to Ta Hien Street. Also called the “International Crossroads”, Ta Hien Street is one of the most popular places for tourists in Hanoi. Always full of people, here sells delicious beers with great price. 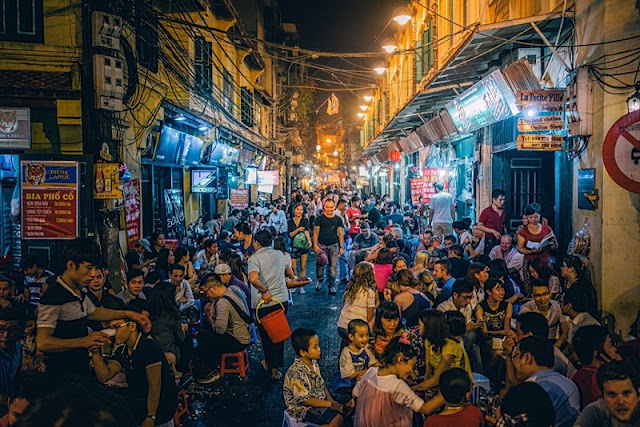 Nowhere else can you see and experience the vibrant nightlife of Hanoi than in Ta Hien Street. Here you will be joined with many other local young people and tourists all over the world and might even gain some new friends afterward. It’s definitely worth a try! Would you like to go to throw a party? Then, this will be your favorite part. Just keep reading and find you suitable Hanoi Nightlife. Now let’s move on to what party-lovers have been longing for: some of the best nightclubs in Hanoi. Bars and Clubs in Hanoi Night life. 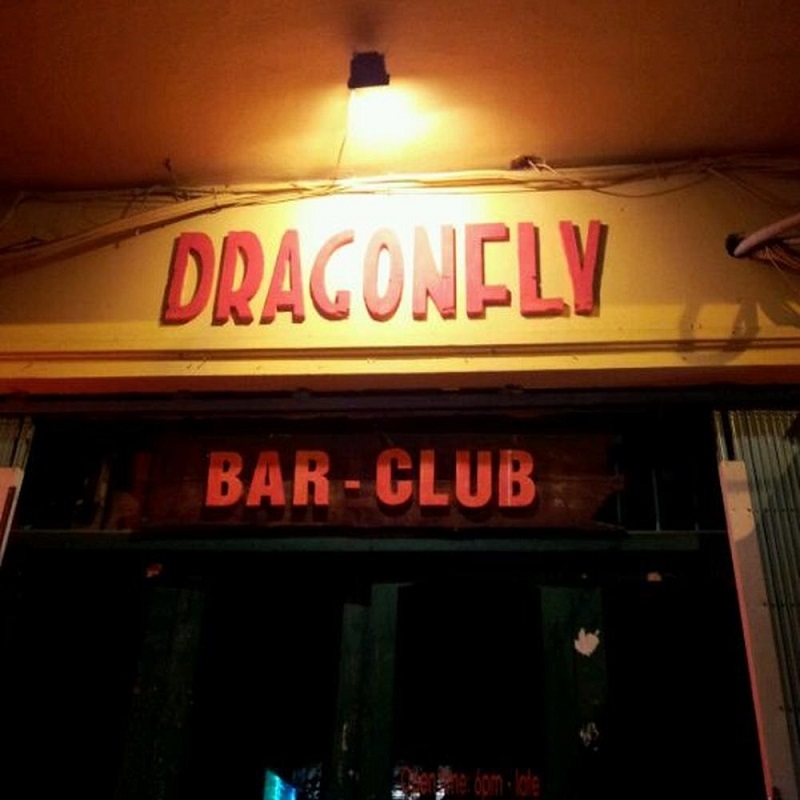 Dragonfly Bar Lounge: Dragonfly Bar and Lounge is a very chilled out place that attracts both Vietnamese young people and foreigners come to dance and have fun. The Bar plays a variety of music ranging from hip-hop to party pop music. There’s also a shisha lounge, pool tables, and big-screen TVs airing the latest sports events. Infinity Club Hanoi: Infinity Club is a favourite club of the locals. This is where the city’s stylish party-goers gather for a fun night out. Located in Hang Bai Street, Infinity Club is only 10-minute walk from Hoan Kiem Lake. With a spacious dance floor, impressive lighting, reasonable price alcohol, not to mention having its own local DJs, Infinity Club is worth to pay a visit if you are planning to have some really good time in Hanoi. King Pirates Pub: King Pirates Pub is a brilliant little pub hidden in the back streets of the old quarter. The Pub’s concept was inspired by Pirates of the Caribbean film series and everything in the Pub is designed and related to the Pirates’ themes. The majority of customers here are foreign tourists. This small yet charming Pub serves a satisfying selection of rum drinks, local beers, and wines with reasonable price. This Pub is praised for its friendly atmosphere and great customer services. The 2 owners are superb and very chatty. So are you ready to “walk the plank”??? Although the list is still long, we have recommended you best things to do for your amazing trip to Hanoi. 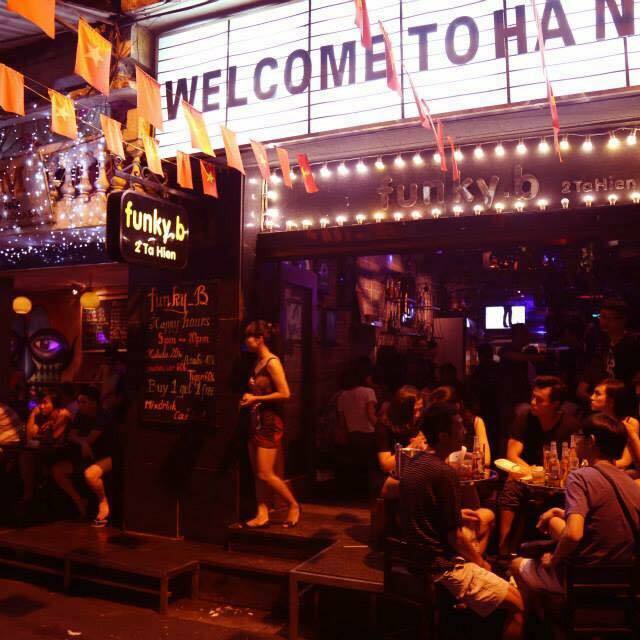 And don’t forget to enjoy the Hanoi Nightlife Old Quarter. Hope you are discovering the nightlife in Hanoi Old Quarter and have great experience in Vietnam with us!! !